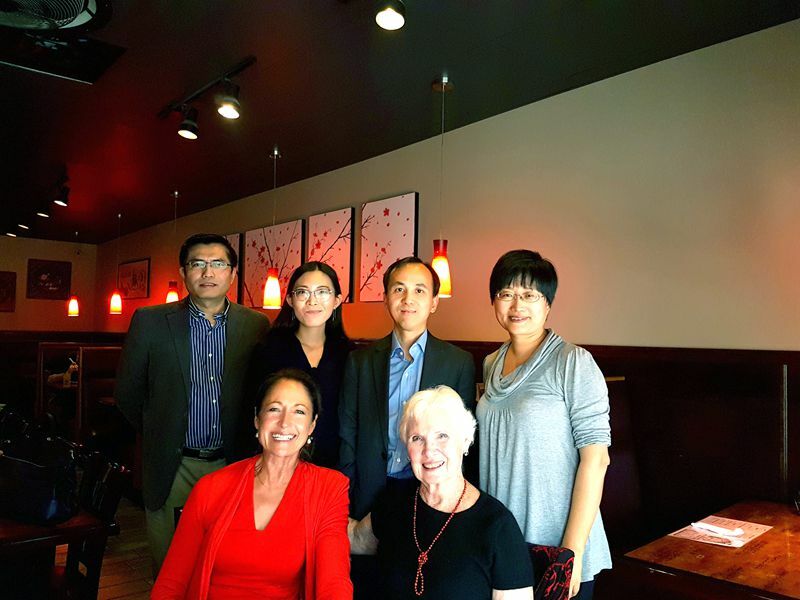 On October 21, Deputy Consul General Liu Jun met with President Nancy Hill, Vice President Jan Armstrong and Treasurer Joan Pu of Edgar Snow Memorial Foundation in Kansas City and exchanged ideas with them on deepening cooperation. Liu Jun said that the Kansas City delegation made a successful visit to Shaanxi Province and signed a sister city agreement with Yanan City and an MOU with Ankang City in September. The Edgar Snow Memorial Foundation members also joined and played an important role in this visit. Liu Jun said that the 19th National Congress of the Communist Party of China (CPC) was being held in Beijing and President Xi Jinping delivered an important report in the opening ceremony. This report not only summarized China’s achievements in the past 5 years, elaborated on the CPC’s historical missions, but also pointed out the fundamental principles of building Socialism with Chinese characteristics and made plans for China’s development and its domestic and foreign policies in the next five years. Nancy Hill said that the Edgar Snow Memorial Foundation will hold the 18th Snow symposium and commemorative activities in October next year, which marks the 80th Anniversary of the publishing of Red Star Over China. The Foundation is in close contact with Chinese partners to prepare for the event. At the event, the Foundation will invite friends from both China and the US to review the contribution Mr. Snow has done to China-US relations and its implications to nowadays China-US relationship, and give a new boost to bilateral relations. The Foundation would like to keep in touch with the Consulate General to make the event a success.